Don’t Be Vein: It’s Heart Health Month! Did you know your heart beats over 115,000 times every day? We often forget about one of the most vital organs in our body—our heart—and how it’s busy working every single day to keep us alive. Unfortunately, 1 in 3 people are affected by cardiovascular diseases and over 800,000 die annually due to heart complications. As the number one cause of death in the United States, heart health is vital for everyone. Get to know all about cardiovascular diseases, risks, facts, and ways you can help prevent heart issues, no matter your age. The American Heart Association and other groups have marked February as National Heart Health Month. Heart Health Month highlights cardiovascular diseases that affect many people today. It's also a great time to educate others on how to improve their heart and prevent these deadly diseases. To raise awareness about heart diseases in women, National Wear Red Day is on the first Friday of February! Both men and women can participate - all it takes is for you to wear red in support. Heart disease comes in all shapes and sizes, but there are a few common terms that you may think are interchangeable. 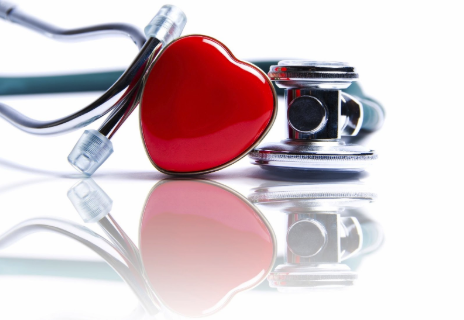 Cardiovascular disease, heart disease, coronary heart disease—what’s the difference? As these terms sound so similar, people tend to use them interchangeably. This fact sheet will help you understand how these conditions differ. Cardiovascular Disease: Think of cardiovascular disease as the umbrella in which all types of heart-related problems, issues, and disorders fall under. Many of these diseases affect the heart and blood vessels which can cause heart attacks, strokes, artery diseases, and congenital heart defects. Coronary Heart Disease: A type of heart disease where the plaque (a combination of fat, cholesterol, calcium, and more) build up in the arteries, leading to heart attacks, blocked blood flow, and blood clots. Now that you know the difference between a few types of heart-related diseases, here are some quick facts about the heart! The average heart is about the same size as an adult fist. The average heart pumps about 2,000 gallons of blood every day. The largest heart belongs to the blue whale which, on average, weighs over 1,500 pounds. Many different conditions and behaviors increase a person's chance for having heart disease. With an increase in heart issues, problems, and disorders appearing in younger people than ever before, it’s best to know how you could be at risk. High Blood Pressure: One of the most significant causes of heart disease is high blood pressure which may, unfortunately, lead to other problems like strokes. High Cholesterol: Unhealthy cholesterol levels increase your risk for heart diseases. Diabetes: Damage to blood vessels and nerves caused by sugar building up in the blood can lead to heart issues. Physical Inactivity: Staying physically active helps improve functions of the heart functions such as increased blood flow. Obesity: Extra weight puts additional pressure on the lungs, blood flow, and the heart. With 1 in 3 Americans suffering from obesity, it’s incredibly important to maintain a healthy weight. Unhealthy Diet: Eating foods high in saturated fats, trans fats, and sugar increases the risk of heart-related issues. Smoking: With about 37 million adults who currently smoke, quitting can reduce your damage to lungs and blood vessels. All of these risks can increase your chance for heart disease which then may bring about symptoms of a heart attack or stroke. According to the Center for Disease Control and Prevention, only 27% of people know the signs of a heart attack: chest pain, discomfort in the chest, upper body pain in the arms, back, neck, jaw, or stomach, shortness of breath, nausea, cold sweats, and lightheadedness. This February, we recommend taking some steps to improve your heart health. Below, we’ve compiled a small list for you to attempt this month and continue the rest of the year. What can you do to make change for heart health? Use spices when cooking instead of salt. The Center for Disease Control and Prevention highlights how you can reduce sodium consumption here. Cease smoking, vaping, and using e-cigarettes. Change your diet by eating foods low in saturated fats, trans fats, reduced added sugar, and low sodium options. Try to fill half your plate with fresh fruits and vegetables. Manage stress and other mental health factors which may contribute to heart-related problems. Make 30 minutes (150 minutes a week) of physical activity part of your daily routine. Whether it's walking, running, biking, or taking the stairs instead of the elevator, your heart will thank you in the long run! Help get the word out by using the hashtag #americanheartmonth on social media and show the steps you’re taking to have a healthier heart. Don’t be one of 800,000 people this year—take action to improve your heart health today! Schedule an appointment this February to have your heart checked. Routine screenings for cholesterol, blood pressure, and more can help monitor your risk for heart issues. Discuss ways you can lower your risk of heart diseases with your provider, as this will benefit your heart and health well into the future.